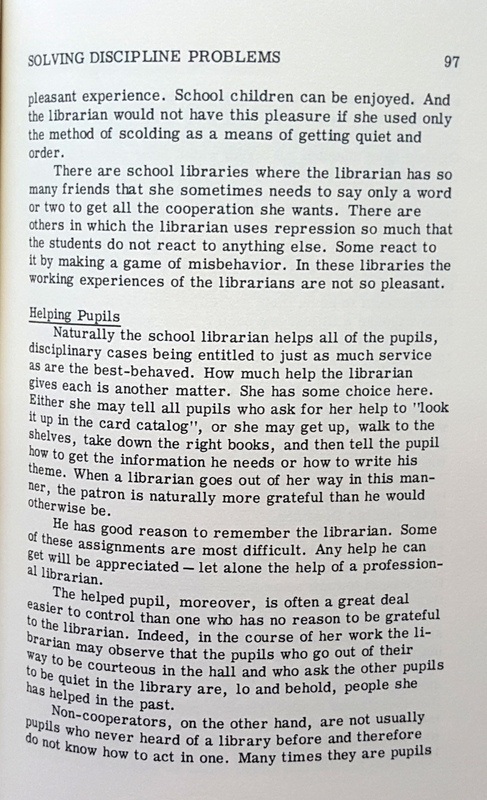 School Librarians around the world face a number of general and specific discipline problems in their libraries, almost every working day. 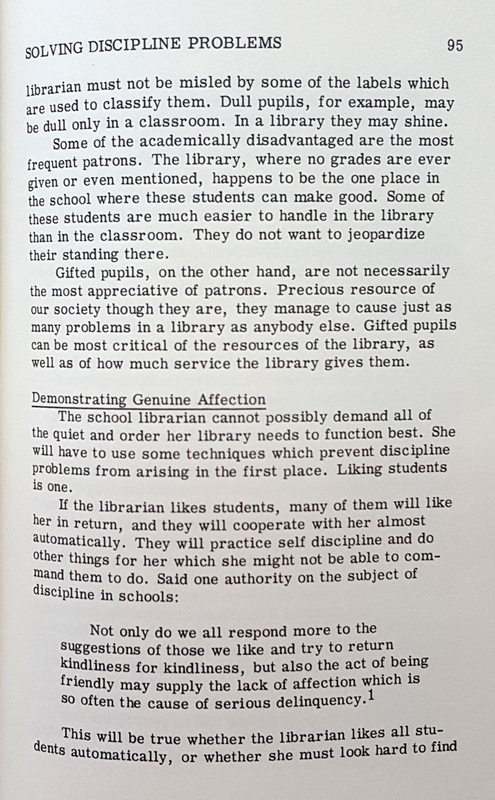 There are students who like to make their library a play ground and bumb into each other at every opportunity comes in their way. 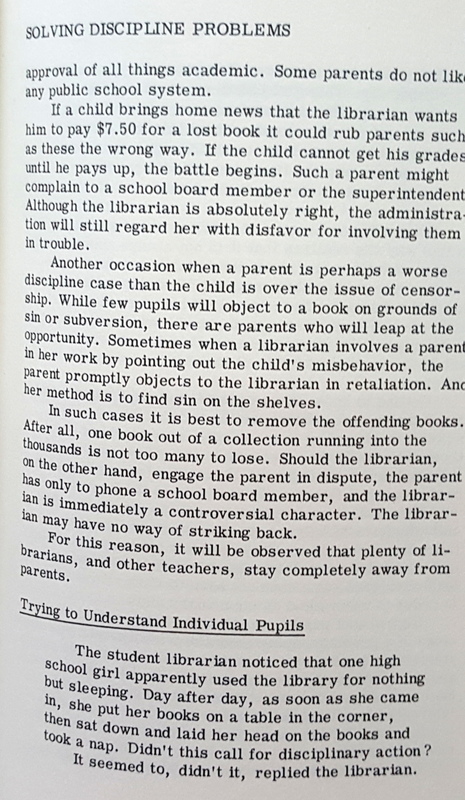 There may be many who are not considerate to others and do their own business by simply making noise and disrupting library equipment and resources. 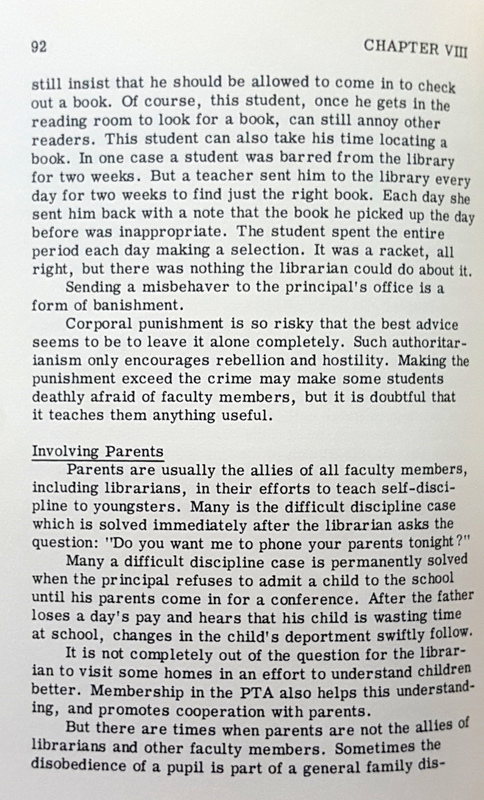 Scolding, banishing, sending them to Principal, involving parents, all these techniques are found unsuccessful in many ways to deal with these little but ever-active souls. 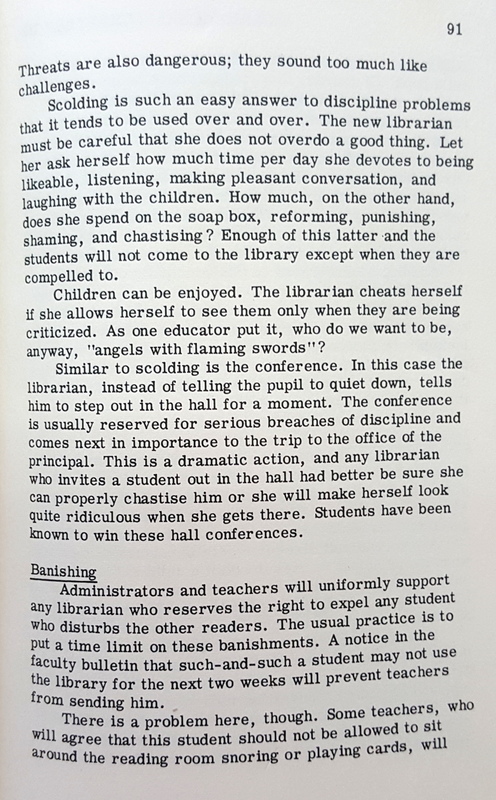 Discipline problems in a school library are mainly caused by (first of all !) 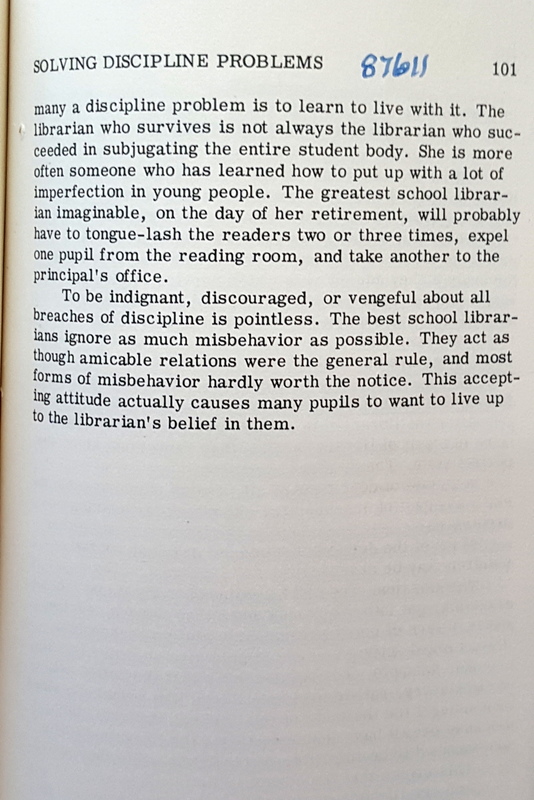 the Librarian (who is weak, autocratic, repressing in nature and lacks tactic), noise, disorder, insubordination, habit of loafing by senior students (bunking classes and sitting in the library aimlessly), overdues, mutilation and theft. There are problems caused by the Teachers, parents and community too. 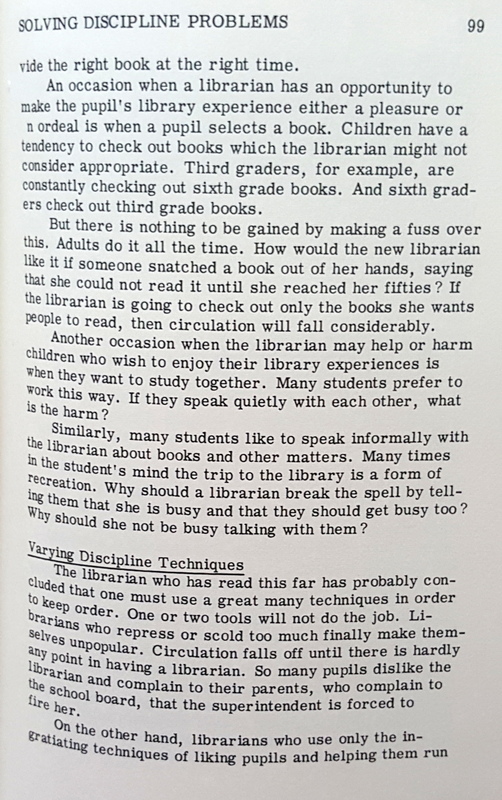 How to deal with all these discipline issues in your library? 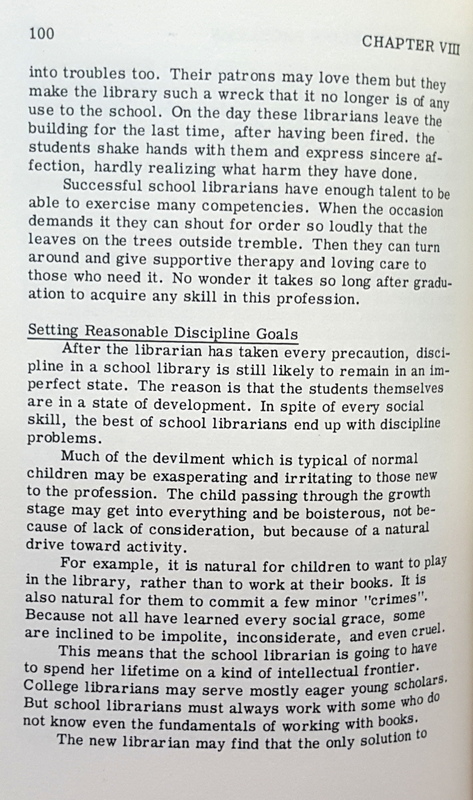 Here is a chapter titled as “Solving discipline problems” from the book, ‘The School Librarian: Human Relations Problems‘, written by Jack J. Delaney in 1961 ( Fifty Seven years back!) and published by The Shoe String Press, Inc., Hamden, Connecticut. 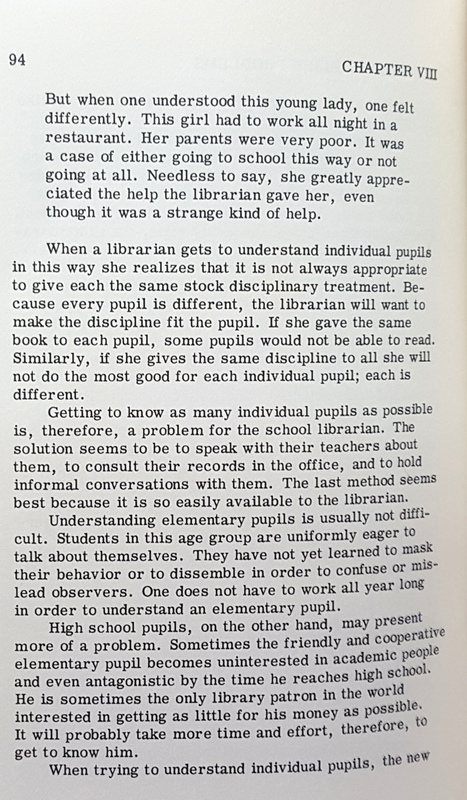 Delaney suggested many ways to solve these issues like, trying to understand individual pupils, demonstrating genuine affection, helping students, providing enjoyable working experiences, varying discipline techniques and setting reasonable discipline goals. 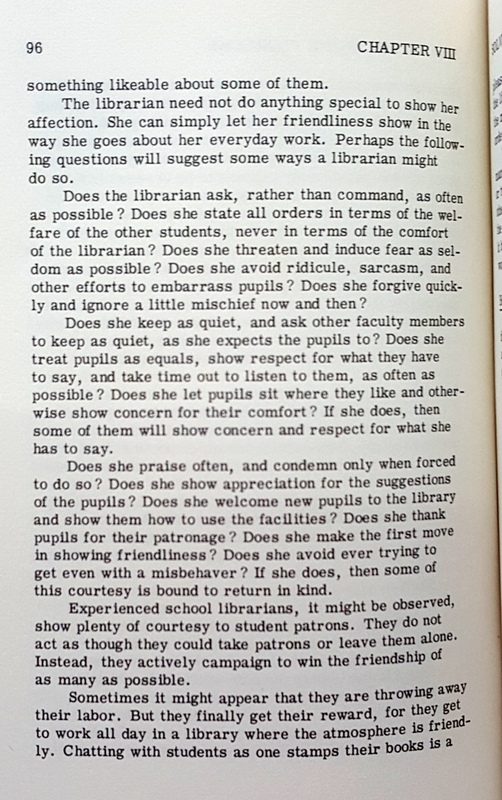 This chapter and the whole book is a must read for all school library professionals, especially freshers in this field. In depth analysis and real life anecdotes made this book a stimulating read. 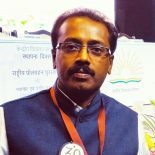 In the 21st century, school libraries are considered as dynamic social spaces where people meet casually and or for a purpose, like getting the required information resource, and where new ideas emerge through discussion and sharing. 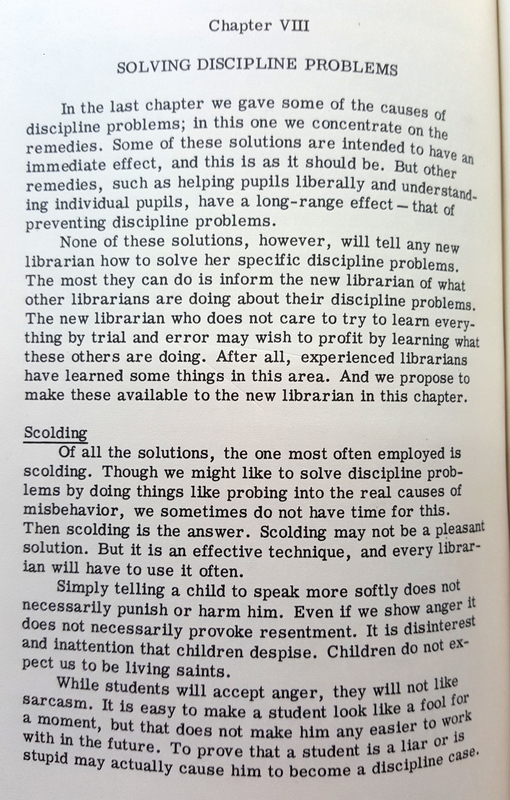 Even though, the librarians still face a lot of discipline related issues. 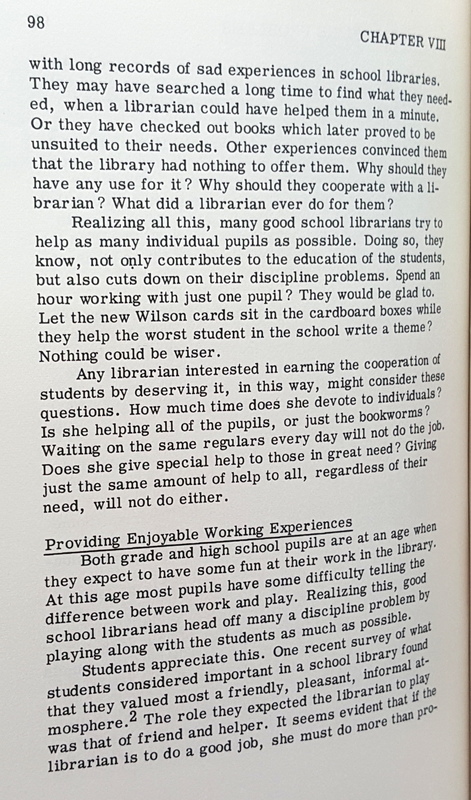 The book also underlines that still after Fifty Seven years, school libraries around the world face the same discipline problems and issues. Time changes, but not human nature. To read, click on the image, then right click to ‘view image’. This entry was posted on February 25, 2018 by slfaisal in Random notes.